You were drowning. I saw you. A leaf falling from a tree. No breeze. No current. A slow descent until you stopped. I blinked. I waited. MOVE. You didn't. So I called out. Screamed my controlled scream. And they scooped you up. Lay you out. You were not dead. Just nearly. After the fuss, after the squeezing, listening for breath, the squeezing again and that welcome cough of yours, that tiny eruption of vomit and the ambulance coming and going again...it is quiet. The water lapping. My network of eyes - like a fly's, just like a fly's- watching, waiting, watching. Last Autumn I went to the York conference of the National Association for Writers in Education to present a paper on the theme of voice in writing. It was an interesting weekend with a good variety of sessions but one of the biggest pleasures was the Friday night evening of poetry. 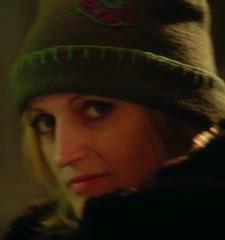 There was an excellent selection of different voices but the highlight for me was Ros Barber. 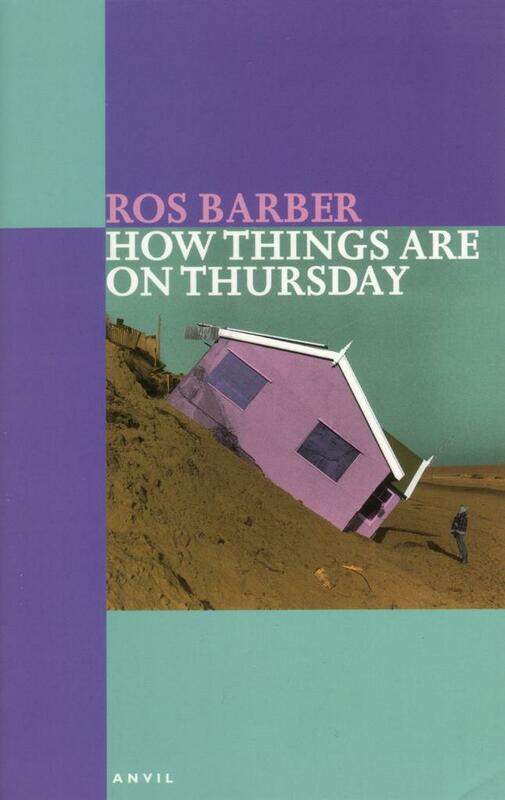 Ros is a striking performer of her work and listening to one of her readings is akin to hearing an actor performing a particularly lyrical extract from a play. There are poems on such diverse topics as loss, ageing, a nanny’s accident with her charge and the fate of a delapidated building (which can be read on her website) - converting the most commonplace things and events in life into something more fabulous. Her style reminds me of Gillian Clarke's and Simon Armitage's - it is direct, profound and strong - and makes you think again about things you thought you knew. 1. Do you have any connection with snails? As a gardener, I have a very antagonistic relationship with snails. I tend to 'rehouse' my snail population (via a short flight) in the communal garden of the mews houses next door, which is very green and never used. However, I suspect the greenery is not to their taste, as they keep making the 50 ft climb back to my roof garden. A short story entitled 'Slugs & Snails' (published in IOS) once did rather well for me. And I had a tutor at university who used to study them. He was famously dull. He'd walk in and my friend would whisper to me, no matter what the subject ("bet he brings snails into it"). And he always did. 2. What is your proudest moment? Getting a first at university (in Biology) when the previous year I'd been on the verge of being thrown out for academic underachievement. I got two fives in my Early Finals, owing to the fact that I was in the middle of a breakdown (and not prepared to admit it for fear of being locked up). I was on the Vice Chancellor's list, the last list before you get booted. In the summer before my final year, I found an understanding boyfriend, signed up with the university's counselling service, and worked my arse off to try and catch up. After the exams I was called in for a Viva (interview for the borderline). I thought it was for the pass/fail boundary until I realised how difficult the questions were. I shouted at the external examiner and burst into tears. He wouldn't let me out of the room for another twenty minutes because he said I'd scare the other candidates. During that time, we just talked. I thought I'd messed it up completely, went home to bed, pulled the duvet over my head, and cried. A few hours later I got a call from a friend who said she'd heard the results had been posted on the notice board, so I got my boyfriend to give me a lift back to campus. Walking up the path towards the doors of the glass foyer, I saw a crowd of people round the notice board. One of them noticed me and one by one their heads turned until they were all staring at me. When I opened the door, silence fell, and the crowd parted so I could make my way to the front and see my name at the top of the list. It was like a film. 3. Have you ever had a life-changing event - if so what was it? Five years ago, when my divorce settlement came through, I asked my lover to join me on a two-week Tantra workshop in Costa Rica. As a result, my lover became my husband. 4. What is the saddest thing you’ve ever heard of or seen? There are so many sad things in the world. I'm very drawn to sad things. But I can't pretend any of them affect me more than the personal. Three years ago my mum was on the second day of a holiday in Thailand when a 16 year-old sitting in a parked vehicle turned on the ignition so he could listen to the radio. The truck was in gear - it lurched forward and knocked her over. The resort they were staying in was fairly basic, and she died from her injuries before they could get her to hospital. My mum was the strongest influence in my life, and my biggest fan, writing-wise. Everything good that happens I want to share with her first. Sometimes, still, I find I have dialled her number by mistake. There's so much she's missed already - my first book, my first daughter, my sister's first child, England doing well at cricket - she'd have loved all of that. She was a very alive person. She had a big laugh, an eccentric dress-sense, a love of champagne, a passion for eating outdoors even if the weather was crap. Despite experiences that would have knocked most people sideways, she was the most optimistic person I've ever known. Then she went on holiday and didn't come back. 5. If there was one thing you’d change about yourself what would it be? I'd be less chaotic. I'd know where things were when I put them down, and I wouldn't wake up in a panic in the early hours of the morning. Not wanting anything different from what you have now. For me, it's loving and being loved. 7. What is the first thing you do when you get up? Pee. And then, so long as there's no-one to stop me, I'm down in the office in my dressing gown, turning on the computer. HOW THINGS ARE ON THURSDAY is Ros Barber’s debut collection - already she has won an impressive number of awards and prizes for both poetry and prose. I am very much looking forward to reading more from one of my favourite poets. This is the start of an occasional series in which I shall discuss ideas on the origin of the stories in STRUWWELPETER or SHOCKHEADED PETER, the nineteenth century book of cautionary tales. There is a lot more on this topic in the rather wonderful Heinrich Hoffmann Museum - a museum dedicated to the life and work of Dr Heinrich Hoffmann the celebrated author of the tales. Here, in a pleasant suburb of Frankfurt near the university, is a collection of very interesting displays, books and papers. But perhaps the best thing about the museum is that it endeavours to carry on the doctor's work by helping mentally ill people reintegrate into the community. It is a fascinating place and I recommend it heartily. There is another museum called the Struwwelpeter Museum which is tucked behind Frankfurt's main town hall square in part of an art gallery. This museum is dedicated to the book Struwwelpeter and has a good display of the various editions of the book in many different languages and German dialects. It is also well worth a visit. In nineteenth century Europe there was an advertising campaign for a hair-restorer. Just as women of today would like to believe the myth that there is a potion that you can rub onto your skin that will wipe away the sagging of the years, so men in the nineteenth century thought that there was a potion that could cure baldness (maybe they still do). 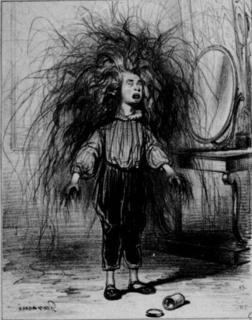 Instead of TV commercials there were posters and pictures and in this particular picture (which is French and is called 'Enfant Terrible') a young boy has sneaked into his father’s dressing room and tried his father’s fantastic hair-restoring potion on his head getting a substantial amount on his hands as well. Unfortunately the potion has worked rather too well and so the child stands wailing in great distress with great growths of hair springing from hand and head. It seems a short step to Heinrich Hoffmann's STRUWWELPETER or SHOCKHEADED PETER - long nails replace the hairy hands, and the image is simpler and more appealing, but the similarity is striking. Incidentally this image occurred again in 1990 in another medium - film. EDWARD SCISSORHAND looks like STRUWWELPETER with his wild unkempt hair but has scissors for hands (which is reminiscent of another tale in the STRUWWELPETER book - THE STORY OF LITTLE SUCKER THUMB which I shall deal with in a later post). I have no idea if TIM BURTON , the writer of this film, was influenced by STRUWWELPETER but I suspect that he was given the writer's interest in children's literature and his background in animation. The film is an unsettling masterpiece in its own right and the strange otherworldliness of the main character has a STRUWWELPETER feel. But getting back to nineteenth century Frankfurt the term STRUWWELPETER was also a word used locally for scruffy people (or students) who became mixed up in the various revolutionary movements earlier in the century. Hoffmann had a particular interest in this, and maybe identified with the character, since he was a bit of a rebel himself, writing quite risky satirical songs in his youth which could have got him into trouble. Perhaps both these ideas influenced Heinrich Hoffmann when he was composing his picture book for his son. But the main purposes of the book were to educate and entertain. Each of his cautionary tales has a simple message of the 'Don't do this or this horrendous thing will happen to you' variety - a cautionary tale. Heinrich Hoffmann was hoping to scare his child (in the most well-intentioned and pleasant way possible) into becoming well-groomed - both for health reasons (long nails trapped dirt, and long hair was thought more likely to harbour nits) and in order to take his or her proper place in the burgeoning bourgeoisie society. This was lesson one of many for young Carl Philipp. The writing is not going well. Luckily I've been sent a pretty wonderful book so I'm reading that instead. 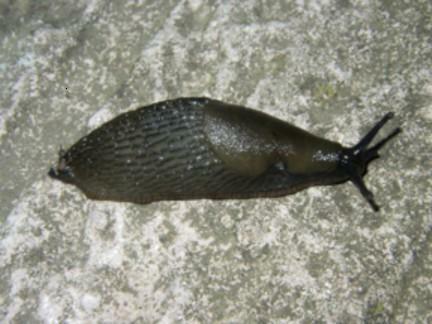 I fell in love with a slug. He kissed me once but claimed later he had just touched me on the mouth. An accident. 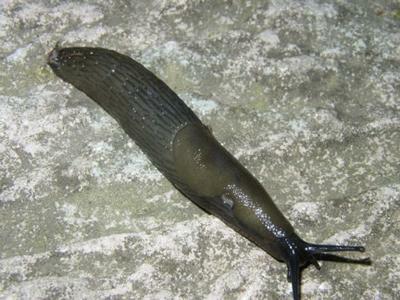 It is hard to tell with slugs. When I asked him to the school disco he told me he had other trails to make. So I danced on my own and tried not to mind. I came back to a scene of carnage: the contents of the salt cellar spilt onto the floor, ‘Good-bye cruel world’ picked out in slime, and his shrivelled corpse like a comma at the end. He was never that good at punctuation. A story in a 101 words. I once knew a snail called David. He had a shell that spiralled the wrong way. Apart from that he was very beautiful. Unfortunately he didn't make slime and so he had to slither along like a reptile, which he wasn't. He was a mollusc. People say it was a shame to eat him, but what do they know. I served him on a bed of cos lettuce, which I think he would have liked. The marinate of oil, lime and coriander restored his mobility. He slipped down my throat like a well-matured truffle. It was a fine way to go. To my great delight this came through the door on Saturday. 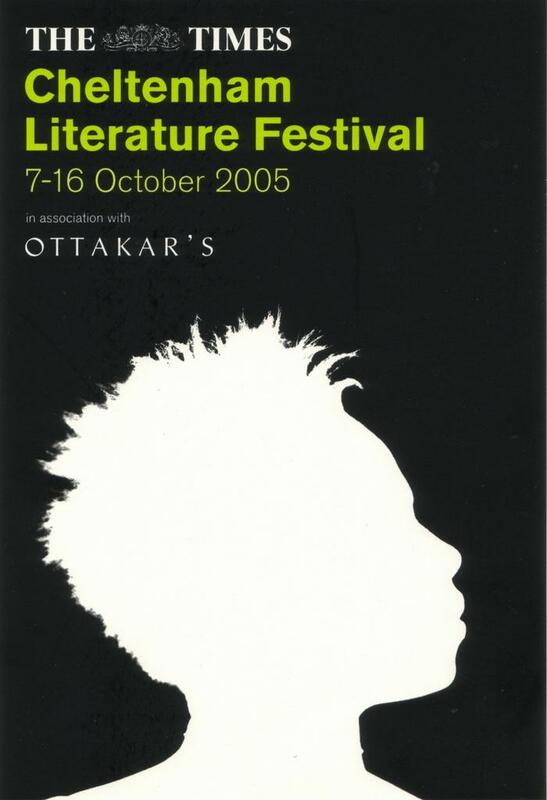 It is an invitation to the programme launch of the Times Cheltenham Literature Festival in the Benjamin Franklin Room at the RSA. ‘Can you take a guest?’ asks my elder son. Maybe so, but I can never resist an opportunity to visit London because I love the place so much. I shall be taking a three hour workshop at the festival in October called ‘Writing Convincing Dialogue’ so very soon I shall be starting to think up exercises. I shall also be looking through my bookshelves for suitable passages to illustrate different styles: there are a couple that immediately spring to mind - one of the last chapters in Carol Shield's work LARRY'S PARTY - her characters are so well established by the end of the book that she doesn't have to attribute the speech at all, you know exactly who is talking by what they say and how they say it; and then there is a wonderfully affected character in LOVE IN A COLD CLIMATE by Nancy Mitford who talks in a way that I love, but I shall be looking through my stash of less well-known writers too because there is plenty of mastery in the books at the back of the shop that never make it to the review sections of newspapers or the little piles on offer at the front. I shall also be dipping into publications from the independent publishing houses like the Tindal Street Press which give some good examples of regional accents, for example Grace Jolliffe's PIGGY MONK SQUARE in which the Liverpuddlian child narrator uses a convincing type of scouse. It is the season for snails. I found these in our back garden the other night. I like the way they stare indignantly, their eyes out on stalks. Sometimes I come across their nests - a clump of tiny soft white shells in a ball of sticky mucous - quietly gestating, making ready to erupt together on THE DAY OF THE SNAILS. 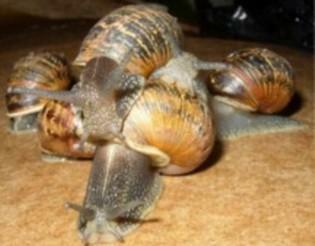 I like snails but I don’t like their cousins the slugs. I read once that slugs can reproduce sexually or asexually, depending on latitude and that in Chester we are near the borderline for sexual reproduction. ...because through the holes in the walls came the slugs. We would find their silver tracks in the morning betraying their nocturnal oozing up walls and cupboards and down again and out through the walls. Then a few weeks later I couldn’t sleep and came downstairs to find a pair of these slugs demonstrating the southerly sexual mating variation quite blatantly in the middle of our kitchen floor. It was mesmerising: small protrusions and holes appeared as one became temporarily male and one female, and as they gracefully and leisurely interlocked I noticed that there were other smaller organisms, things like mites, leaping around in the mucous, a stream of them going from one slug to the other, the only hint of of a frenzy in the whole sordid business. Soon after that we closed the holes, replaced the rotten wooden doors and found an electrician to bring us back into the twentieth century but I shall never forget those two brown slugs and hope they had a very happy life together. Thinking about the battle between the Royalists and Roundheads reminded me of a book I read recently and enjoyed very much - GHOST PORTRAIT by Gregory Norminton which was published in May. Norminton’s books tend to feature artists and paintings and GHOST PORTRAIT is based on an artist living during the restoration of the monarchy after the Civil War. It is easy to imagine some of the scenes set in a building like the Falcon but most of the action in the book takes place in the artist's rural mansion house or in the open air. Perhaps it is a little irrelevant to remark that GHOST PORTRAIT is a beautifully produced book - an attractive small format in a rich dark turquoise with gold-leaf leaves scattered over both the outer paper cover and the cloth beneath, and this motif continued inside - quite a collector’s piece. But of course the most important part of any book is the writing which lies inside and the writing inside GHOST PORTRAIT is as terse and beautiful as the cover. By careful choice of moments Norminton manages to convey the story of the life of the painter Nathaniel Deller in just 208 pages. Deller is approaching death and finding himself haunted by his past. He has lived through the English Civil war and the Restoration and Norminton depicts this period using snapshots of the old man’s life. These astute, accurately described scenes convey a lot about Deller’s character - the things that he did, the things that he didn’t do - and how these have built up, layer upon layer, to produce an elderly man, wracked more with the pain of memory than the physical ailments which have caused him to lose his sight (‘...his eyes, when they open, are frosted like windows in winter...’ ). It is a clever structure and the story is convincing. But perhaps what I liked most about this book, apart from the use of language, is that I learnt about aspects of the Civil War, including a rather gruesome detail about Cromwell’s head. The ending is satisfying, happy and yet moving - something that stayed with me long after I had finished. Gregory Norminton is very young - I think he wrote his first novel when he was only 26, and the next two have followed in rapid succession - but his work has mature feel and a strong, well-developed voice. Last time I heard he was preparing to clamber through some jungle somewhere for some TV programme. 'Enjoy the English summer,' he told me, which turned out to be a bit of a curse until a recent short burst of fine weather. I am looking forward to reading about his adventures. 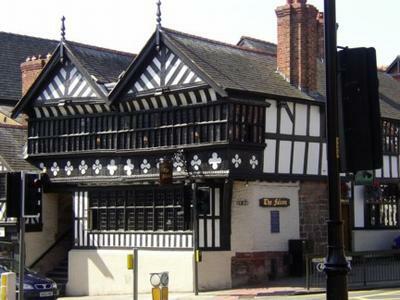 This the Falcon: the meeting place of Chester Writers. Chester Writers will meet anywhere as long as it is a pub, and the people at the Falcon have kindly let us meet in their upstairs room for about four years now. It is an old place. You can tell because the floors and walls slope off in all directions and at all angles. When you step through the front door you immediately come face to face with a wall - always a sign of antiquity - it prevents drafts. To the left is the front bar which incorporates the remains of a medieval shop front, and to the right another bar. It is usually busy but you don't have to wait long to be served. Then if you turn around 180 degrees you will find the staircase in front of you: two sharp turns will lead you past the original medieval wall, its wattle and daub exposed and displayed for the interested visitor. A blackboard announces a private party which for the last few years has been embellished with a chalked picture of a pumpkin lamp. Then there is a door and another door, usually a vacuum cleaner and a bucket tucked away, but not so discreetly that you don’t notice. The doors of the landlord's rooms cluster to the right and to the left is the large dark door leading to our room. It is difficult to open because of its bulk. It is necessary to give it a sudden and confident shove. Then there is large upstairs room exactly as it has been for centuries: dimly lit, an impression of burgundy, a small bar in the corner and choked with items of dark-wooded furniture. The floor sags quietly - too soft to squeak. The ancient magnificent window with its hundreds of panes, each one seemingly tweezed in by hand, spreads along the entire outside wall and through it leaks the sound of the small city - its traffic and voices. There is a noisy fan on the wall, and a radiator and an array of switches to turn these things off an on, but which no one has yet mastered. On windy nights the sign creaks loudly outside in its housing - which added some atmosphere to the poetry readings of Gladys Mary Coles and Aileen LaTourette when they visited us a couple of months ago - but it is a comfortable room and we are happy and lucky to be able to meet there. The earliest structure dates from 1200: a massive hall running down the street. Then, in medieval times, this was altered to form a smaller hall for a shop and outside that a covered walkway, which in Chester is called a row. This structure still makes up the front bar of the pub. It was taken inside again in 1642 when the owner, Sir Richard Grosvenor, needed more space for his royalist family to live safely within the city walls. There were Roundheads outside so he needed to extend this mansion. 1642 - 350 years ago - it is just the recent past for the Falcon which has given at least 700 years of nearly continuous service. There are 13th century pillars in the bar, beams in the cellar which have been dated from 1200, while the main structure built in the 16th and early 17th century. I like to think that during this time there have been lots of groups like ours - drinking the local brew, catching up on gossip and reading out their poetry and prose to an appreciative audience.